Hello there! 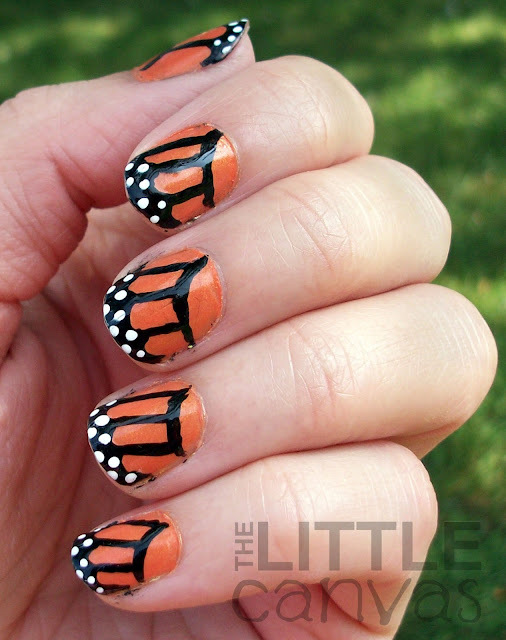 Today I bring you Day 2 of the 31 Days of Inspired Nail Art Challenge! Day 2 is centered around the color Orange. This one was difficult for me. I really couldn't think of anything that was orange other than, well, oranges. 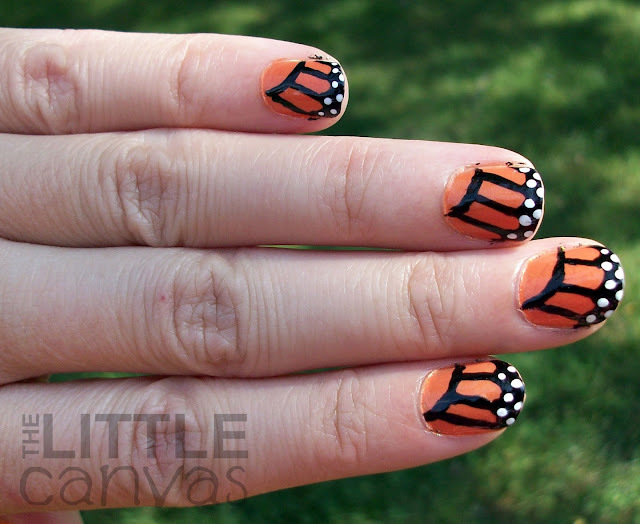 I found a super cute idea, but I didn't have the right colors and was too lazy to actually attempt them. I really did not want to have a disasticure. Then I remembered a guest post that the amazing Ryan from Naild in the South (formally Dream a Little Dream of Polish). 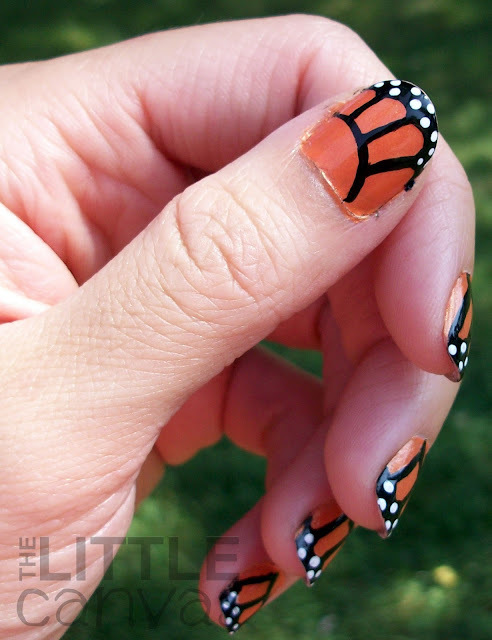 She did cute butterfly wing nails, which she was inspired to do after seeing a manicure on pinterest. Ever since I saw her post, I wanted to attempt them but the right opportunity never arose. 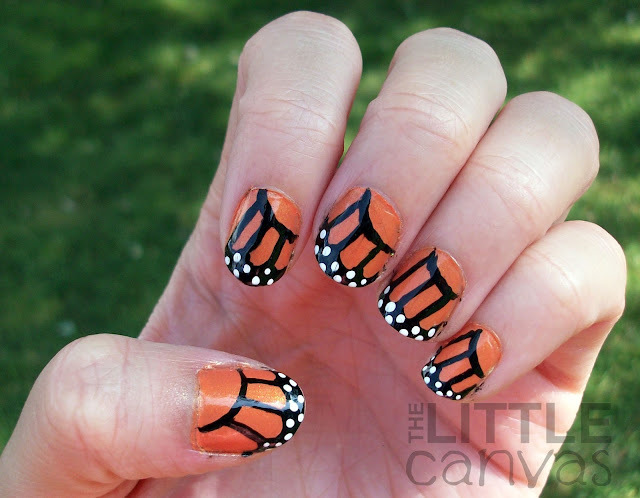 This challenge day was my moment....I was finally going to do monarch wings!!!!! To begin, I put on three coats of Zoya Lianne, a really pretty orange shimmer polish which I got for FREE at the beginning of the year through a Zoya promotion along with Zoya Avery. Oh how I love a deal. When that was dry, with my super long striper brush, I painted the individual arches and lines coming down from the arches. With a tooth pick, I drew on the lower arches connecting the lower lines, and then filled in the tip with the polish brush itself. Finally, with my dotting tool, I added the white dots. I have to agree with Ryan on this, these nails were a pain in the booty!!!! I thought she was joking when she posted that if you were a neurosurgeon to go for it. Boy, oh boy, did they take a steady hand! I'm thinking it was partially due to my striper which is sooooooo long. It was a brush I had from a nail art polish which dried up a long time ago. I threw out the polish but kept the brush and have been using it for awhile. It has always bugged me how long it was, and I never thought of cutting it down. Megan (@PaintinRainbows) gave me the brilliant idea of going to Michaels and purchasing regular paint brushes and cutting them down to size. I took her advice and purchased 7 different brushes and I cannot wait to use them! Hopefully it will make designs like this one easier! What do you think? Have you done the monarch/butterfly wing manicure? Did you think it was difficult? Tweet Me your designs! I want to see! As a reminder this is the challenge! 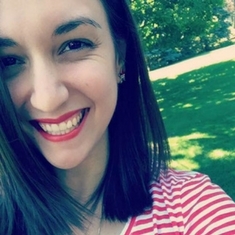 Do not forget to check out the other lovely ladies posts for today!!! Came out much better than mine, I have to admit I gave up and scrapped it! i loved your nailss.. and it really looked like it was difficult to doo! 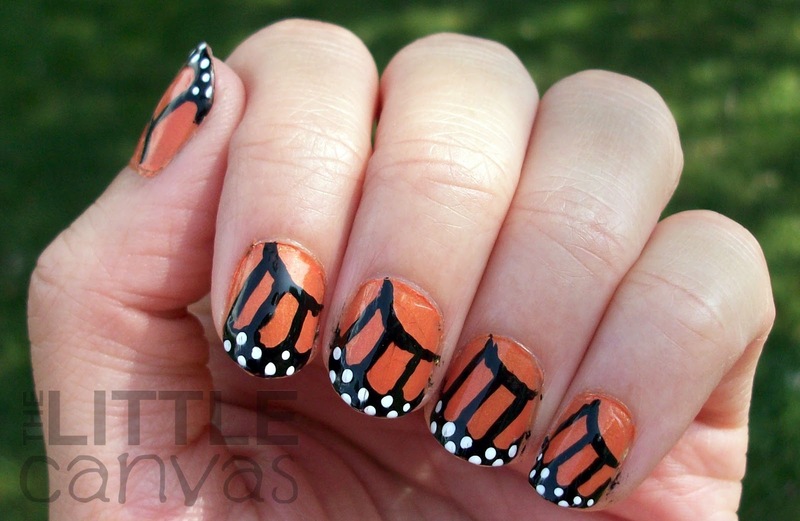 I've never tried monarch wing nails, but they are pretty and I think you did an excellent job! And I can't believe you use such mismatch tools! lol I bought a bunch of Bundle Monster brushes but haven't had the chance to use them yet to try them out. But sheesh, you used a toothpick! So resourceful! lol And I really like the Zoya you used as a base color, I'm surprised I don't have it. Thank you so much! I started this blog using mismatched tools and this blog will die using mismatched tools! haha, well that's a lie, I did purchase those new nail brushes, so we shall see what happens :). I can't wait to hear how your bundle monster brushes work! And isn't it a pretty Zoya? Perfect fall color.